this blog is about to get personal. So what happened to your blog? I remember that I immediately responded with an excuse, something along the lines of, “it’s hard for me to think of good scientific content so frequently, I got busy, I traveled a lot… blah blah blah”. But it was then that I realized I didn’t have a good excuse. There’s no need for my blog to be scientific gold every entry. There’s no need to continuously come up with a fresh take on my research. I just need to WRITE. And write often. This week, Albert posted a new entry into his blog, and so shall I. Thanks for the motivation, Steak Sauce. I owe you one. Oh, and he’s a great blogger, check it out here. So I think I’ll start my blogs for 2014 with a quick review of my accomplishments in 2013, and a look ahead to my goals for 2014. I’ve decided to loosely structure my blog around these goals, both personal and professional, to hopefully encourage me to write informally and often. 2013 Accomplishment: Get involved with a nonprofit! At the beginning of 2013, April, a post-doc in our lab (and a wonderful human being all around), asked me what I wanted to do after I got my Ph.D.. I told her the truth: I’m not exactly sure, but I am really passionate about the mission and motivation behind nonprofit organizations. So she challenged me to find a nonprofit organization in Seattle, and to get involved. REALLY involved. And so I did! For the last year, I have volunteered weekly (and sometimes a bit more), at the Seattle Cancer Care Alliance, where the mission is to offer world-class cancer treatment to the community while supporting the conduct of cutting-edge cancer research. I’ve spent most of my Saturday afternoons at Shine, a retail store housed in the Seattle Cancer Care Alliance house, which provides oncology-related goods, services and support to cancer patients, their families, and the community. While I think I will dedicate a future blog to my love for nonprofits and my experiences with the SCCA, I am proud to say that I have accomplished my 2013 goal of getting involved, and couldn’t be happier about it! As scientists, our research isn’t doing anyone any good sitting in notebooks. There are always more experiments we could do, always another question that could be answered. However, we need to stop trying to teach our proverbial “bear” new tricks. Don’t feed our bear any more treats. Don’t pet the bear. And so, my professional goal for 2014 is to publish more! I have two pretty advanced drafts that have been collecting electronic dust on my computer, but I find myself starting new experiments instead of polishing these manuscripts. 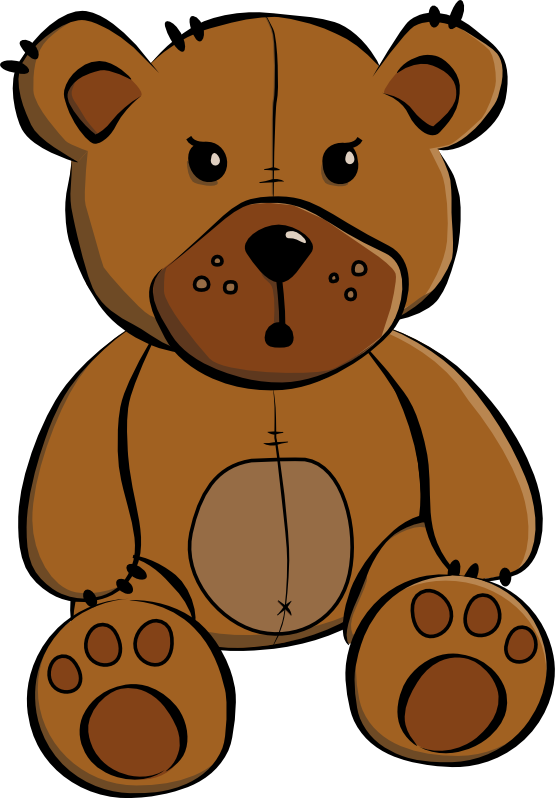 It’s time to make publishing my number one goal… it’s time to kill the bear! He may be cute, but it’s time to kill the bear! I’ll also be working towards killing the bear in my personal life. I’ve come to really enjoy running in the past year or so, but last October, while training for the Dawg Dash 10K, I got a stress fracture in the arch of my foot. 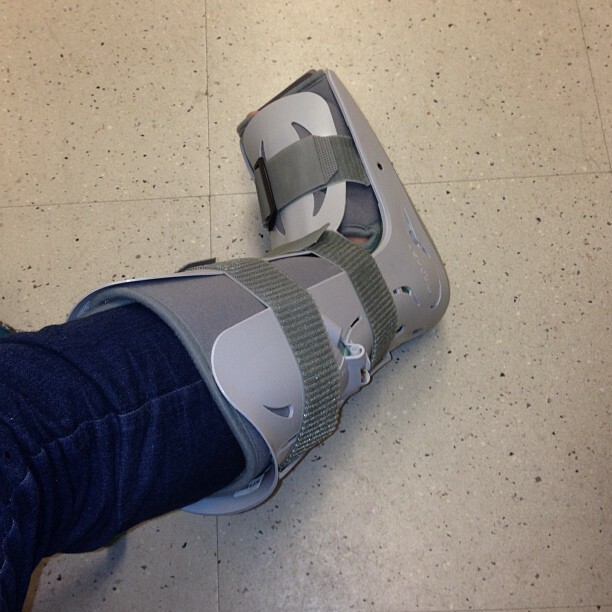 I ended up in a cast for about 2 months, and had to stay away from running until the New Year. Let me promise you, that was NOT FUN. However, I did learn that it is still possible to dress up a cast for a formal function, jump around in the ECS section at a Sounders game, and that the cast can even improve your Halloween costume (at least when you go as Buzz Lightyear, as I did). Walking casts, despite the name, make walking a bit of a challenge. Even though I’ve always talked about setting running goals, to this day, I’ve never run a race longer than a 5K. So, it’s time to kill the bear! I’m signed up to run the 12th Man 12K (GO HAWKS!) in early April, and am slowly but surely getting back into running shape after my injury. I have some other BIG plans that I’m not quite ready to share with the world yet, but watch out 2014… I’m going to be running circles around you!!! I hope you guys are excited as I am for Emily’s blog version 2.0. Will there be science? You bet. But will there be a bit more of me? Yeah, I think so. So get ready for many adventures (and some misadventures) as I try to figure out what the HELL I am doing. Toodles! This entry was posted in Life as a grad student and tagged 2014 Goals, Graduate student, Killing the bear, Nonprofits, Publishing, Running by frombehindthescope. Bookmark the permalink.